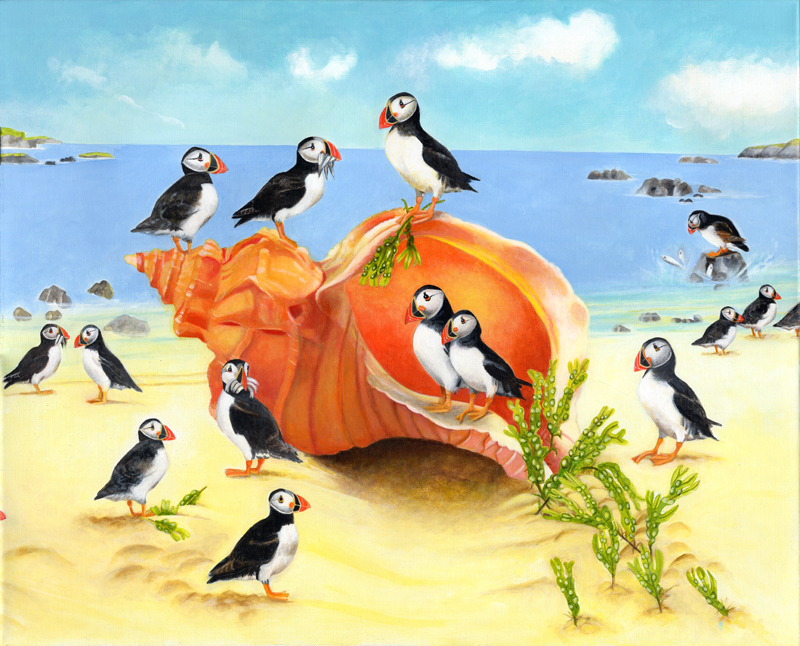 I love to paint puffins. They are comical and have a wonderful dark body with a colourful triangular bill. They always nest in high rocks. Here I have painted a large coral shell as a meeting place, where they can congregate and dive for fish.